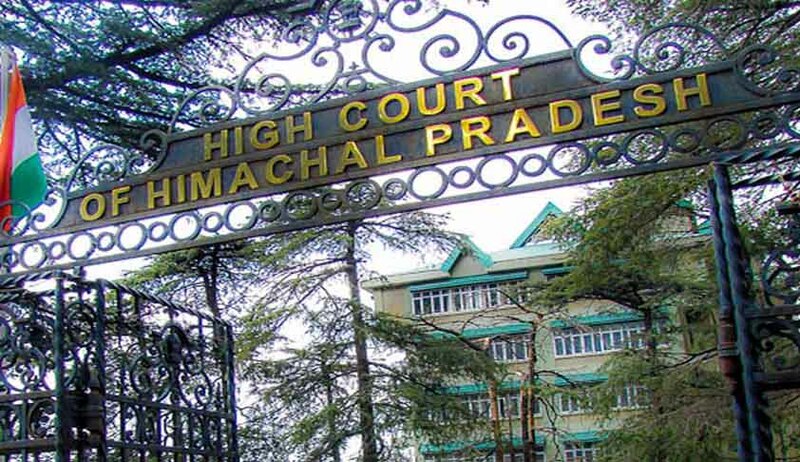 The Himachal Pradesh High Court has declared that, Section 4 of the Himachal Pradesh Urban Rent Control Act, 1987, which prescribes the procedure for determination of standard rent and Sections 5, 6, 7, 8 and 30 (2) insofar as they are dependent upon standard rent as contemplated and determined under Section 4 other than the agreed rent, are unconstitutional. The First Bench of the High Court comprising Chief Justice Mansoor Ahmad Mir and Justice Tarlok Singh Chauhan has also struck down the first proviso of clause (c) of sub-section (3) of Section 14 of the Act dealing with modalities of Re-Entry of tenant. The High Court partly allowed the Writ petitions filed by Landlords who challenged the provisions of Sections 2(j), 4, 5, 6, 7, 8, 13, 14 and 30 of the H. P. Urban Rent Control Act, 1987 as being un-constitutional, invalid and violative of Articles 14, 19, 21 and 300A of the Constitution of India. The Rent Controller while conducting inquiry to fix the standard rent is required to follow the set procedure envisaged in this Section and has no discretion whatsoever to take note of the inflation and resultant reduction in purchasing power of money, variations in the cost of living index in the area since commencement of the lease, demand for accommodation and availability in the local area where the building in question is situated. Likewise, the Rent Controller would also not be in a position to take note of other important factors like type of construction, locational importance, situation of premises i.e. ground floor, first floor etc. and other advantages, availability of amenities like access to the place of public importance like educational institution, bus-stand, railway station, hospitals etc. At the same time, the Rent Controller would also not possess any discretion to take into consideration the prevailing rent in the locality for the same and similar accommodation and also take into consideration the type of construction, the amenities, general or special provided in the building, the open land, if any, attached to the building etc. Section 13 of the Act casts a duty on the landlord to keep the building in good repairs and on his failure to do so, the tenant gets a right to carry out such work and the charges and costs incurred by him can be deducted from the rent or otherwise recovered from the landlord. In such circumstances, it is quite possible that let alone the landlord earning from the premises, he may be left with no balance after carrying out the repairs and this would have devastating consequences on the landlord. Even, the entire amount he would get for one full year as standard rent of the building may not be sufficient to meet the costs which he might have incurred for repairs and maintenance during the year. 52. The only beneficiary in the above circumstances is the tenant, who has no investment in the building and has no liability to bear any expenses for the maintenance and repairs. We have no hesitation to conclude that in absence of there being proper norms and guidelines, the procedure as currently provided for determination of standard rent under Section 4 of the Act, is not founded on any intelligible differentia and even otherwise has no rational relation to the object sought to be achieved and it further fails to pass the test of reasonableness and being violative of Articles 14 and 19 of the Constitution of India is thus liable to be struck down as being unconstitutional. Evidently the concept of ‘standard rent’ as contemplated by the provision contained in Section 4 and thereafter its dependent provisions contained in Sections 5, 6, 7, 8 and 30 (2) is a far cry from the commonly held notion that the rent is fair to both the landlord and the tenant. These provisions are lopsidedly loaded against the landlord. No rational basis for the legislative formulation can be and is, decipherable from these provisions. Any provision in the Act relating to determination of ‘standard rent’ which does not take into consideration compensatory factors necessary for the determination of ‘standard rent’, apart from instances where the rent is to be increased by reason of the landlord providing to the tenant additional facilities, attracts the lable of arbitrariness. It was necessary for the legislature to have ensured that the ‘standard rent’ provisions have an inbuilt mechanism for not only determination but also for a proper periodical correction of the ‘standard rent’ payable to the landlord to avoid recurrence of highly inequitable situation. The Court upheld Section 14 (3) (c) of the Act insofar as it provides for the right of re-entry but held that the First proviso prescribing modalities of Re-Entry is unconstitutional. The Court observed as follows. We also notice that the language used in explanation is absolutely vague and it is not at all discernible as to in what time would the agreement as mentioned therein be arrived at. Is it when the tenant has been evicted under clause (c) or at the time when the building is rebuilt? In case, the agreement is to be arrived at the time of eviction, then probably much exception cannot be taken, but in case the agreement is to be arrived at only after the building is rebuilt, then the very purpose of having such a provision of re-induction of the tenant would be rendered nugatory and otiose, because the landlord will make all endeavours to drive the tenant to the wall and would further ensure that the portion for which the re-entry has been reserved to the tenant is not constructed. The proviso to say the least is totally unworkable as it is absolutely vague, ambiguous apart from being arbitrary and unreasonable. Therefore, we have no difficulty in concluding that the first proviso of clause (c) of sub-section (3) of Section 14 of the Act is unconstitutional.